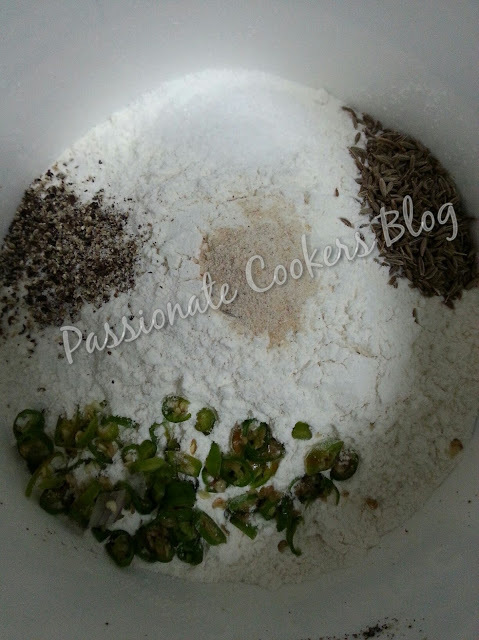 In a large bowl add the rice flour, all purpose flour, rawa, chopped chilli, hing, salt, crushed pepper and jeera. 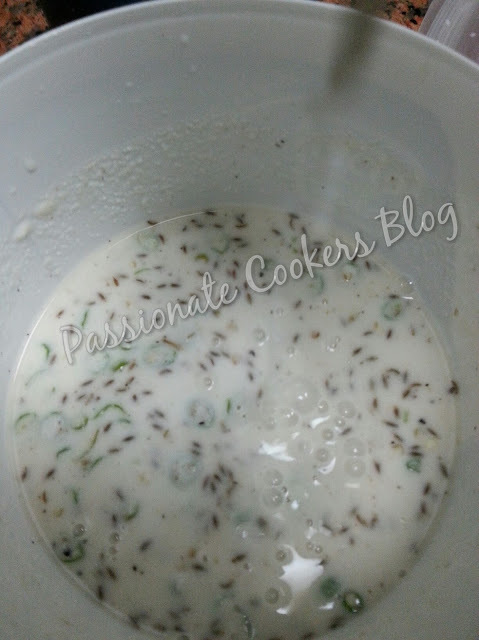 Add enough water to make a batter to a buttermilk consistency. Chop the onions very finely. 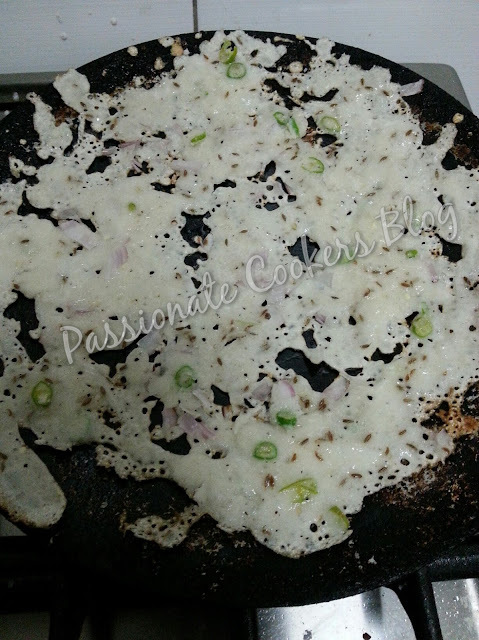 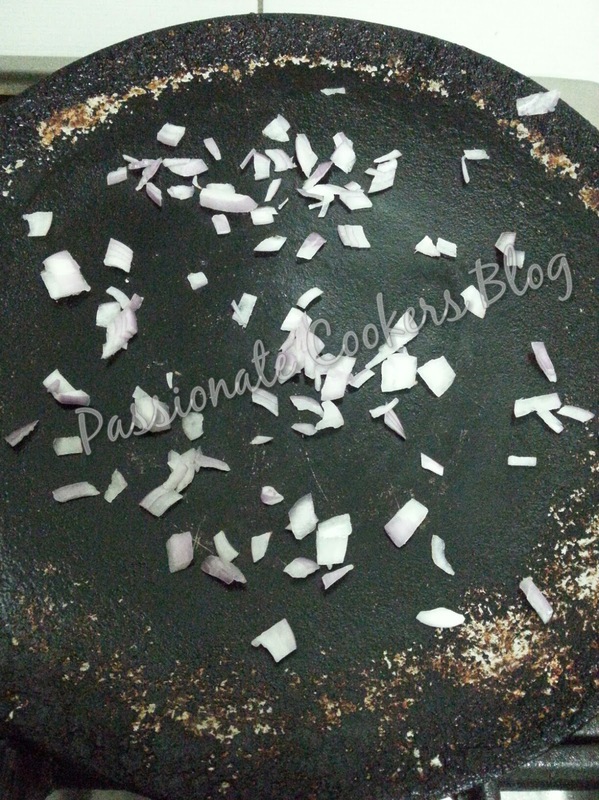 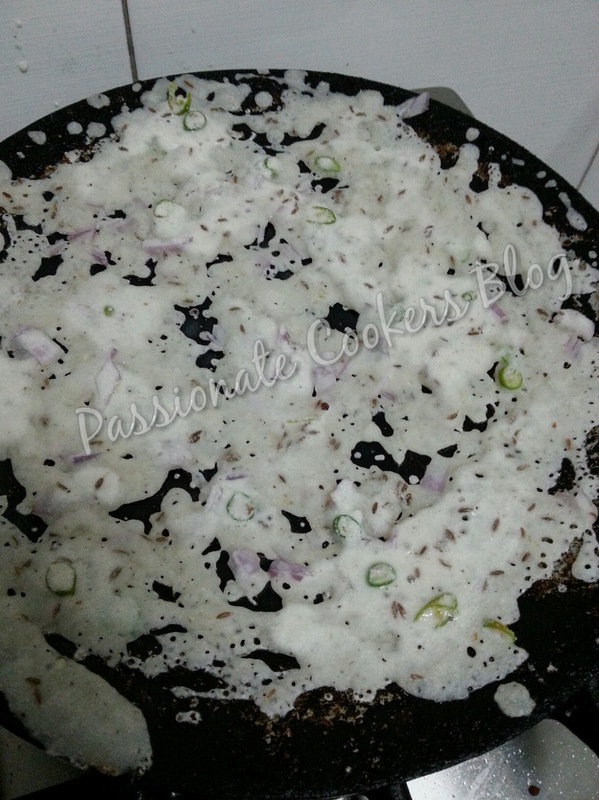 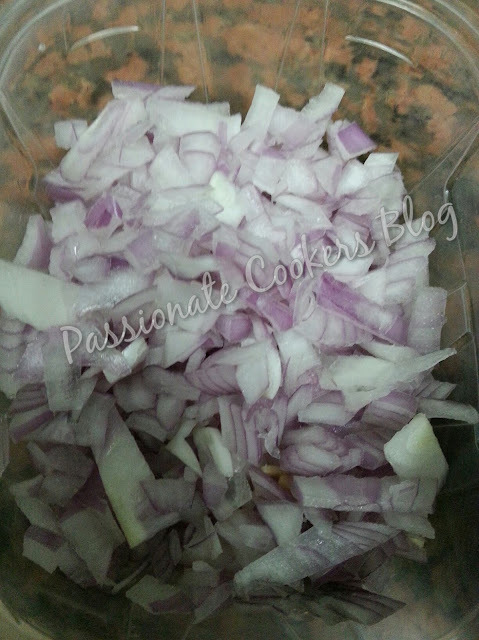 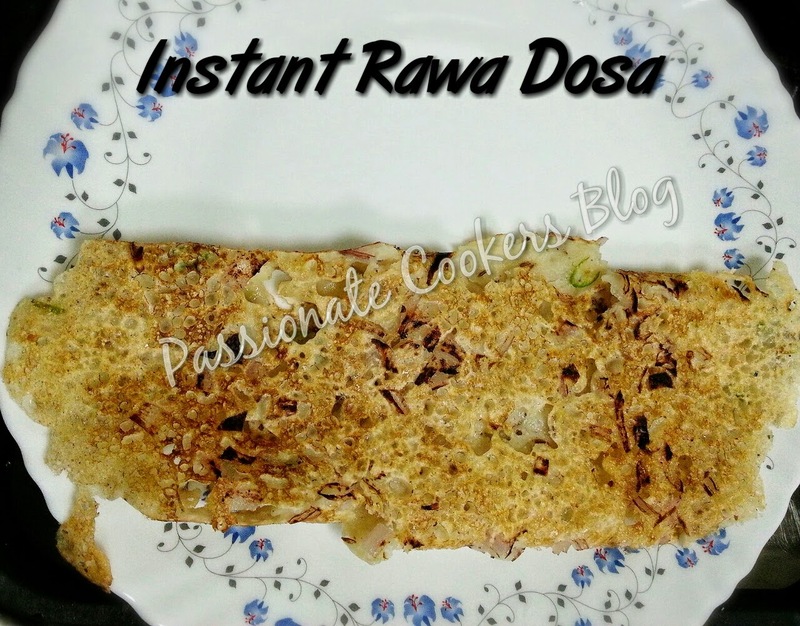 Heat the dosa tawa and sprinkle the chopped onion on it. Sprinkle oil or ghee as ur wish and let it brown n crisp. Once done roll the dosa and serve with desired chutney.